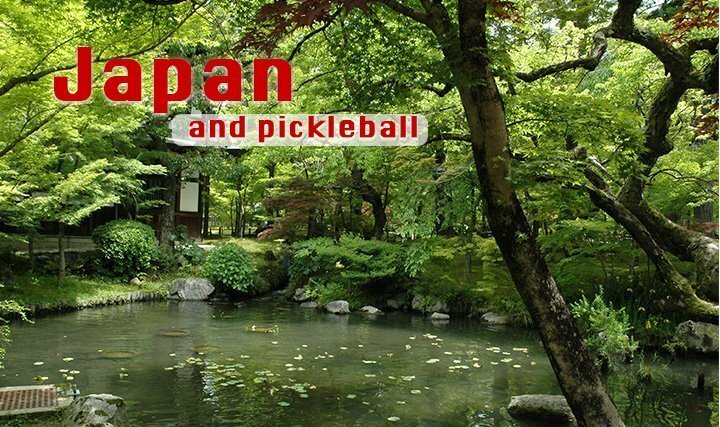 Japan was introduced to pickleball in 2014, and it truly seems like a perfect fit. 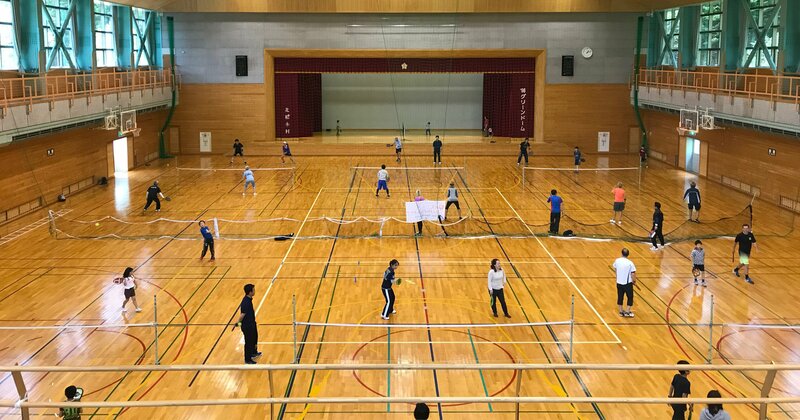 Most play in Japan is indoors, because almost every gym is already lined for badminton courts. Badminton lines share the same court diameter, yet the kitchen line is 6 inches closer to the net. Who cares, game on! 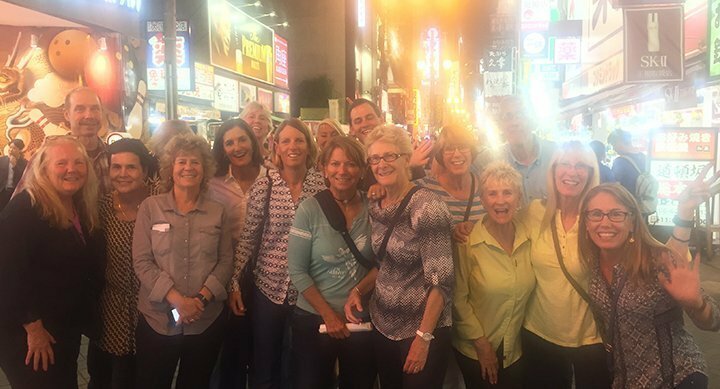 My pickleball adventure to Japan was awesome! 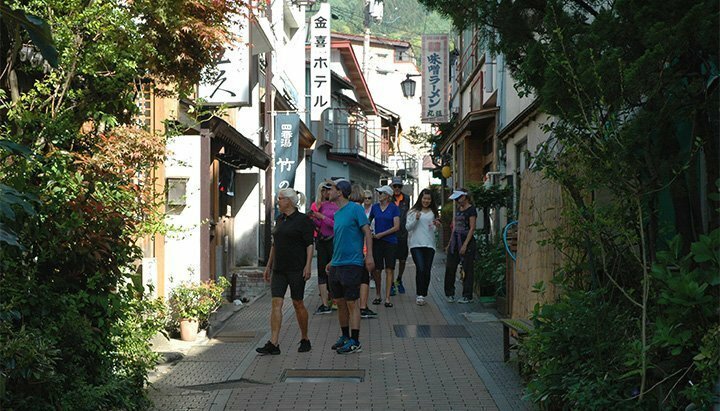 We spent time in the mountains as well as the cities, played pickleball with locals, ate amazing food and visited a variety of Japan’s cultural treasures. Did I mention the bullet train goes 170 mph! 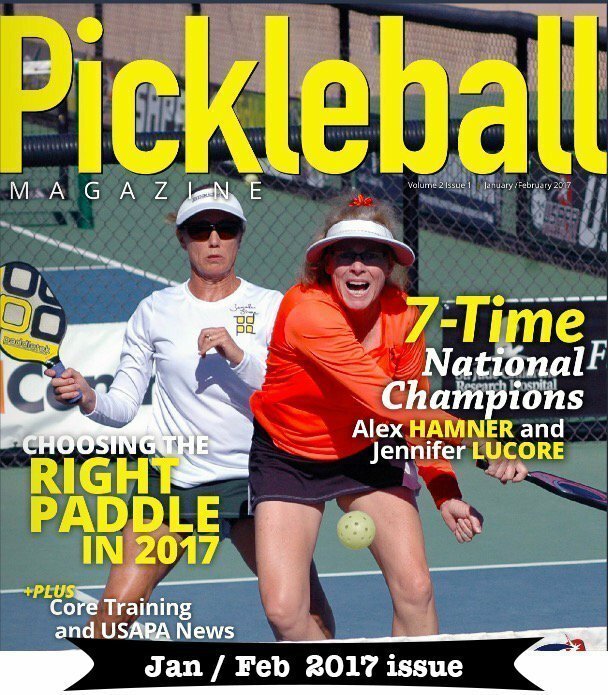 I joined Daniel Moore, (yes, the Daniel Moore that is one of the top Pro Players and has lived in Japan most of his life) on one of his tours to help teach and spread pickleball awareness, skills and of course FUN. On the tour we had a wonderful group of 16 active and fun loving friends from all over the US. 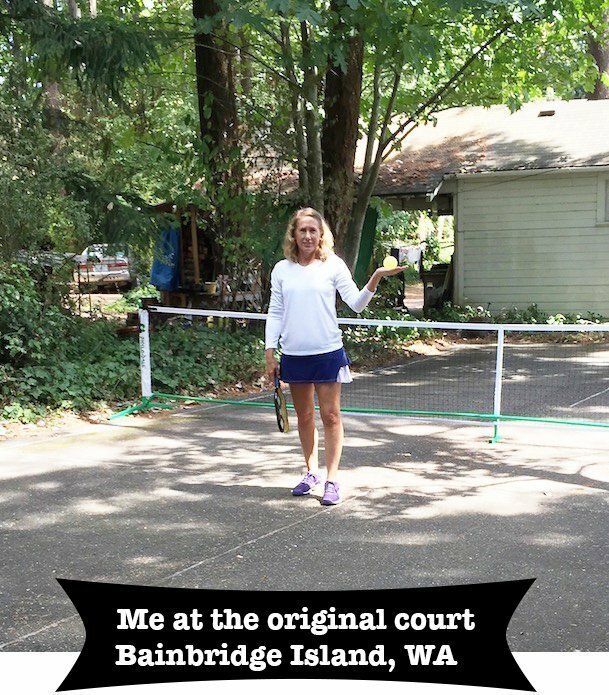 During the course of the week, we trekked (pickleball included) over 60 miles on the tour (hello Nita’s Fitbit) – no sitting around for us! My quick homework prior to arriving in Japan was a quick scan online and some travel videos. I learned that I needed to: be cautious about hugging people I just met (my casual southern California upbringing made that a challenge); avoid giving and receiving things with one hand; avoid blowing my nose in public; avoid eating on the go (I got busted twice); stay quiet on the train; refrain from leaving a tip; not serve myself a drink; and, use the slippers! Shibu Onsen walking tour, what a special place! Narita– We arrived a few days before the tour began and explored Narita City and temple. Yes, this was my first introduction to the complex electronic toilets. Wow there are lots of options as to what can happen when you are on the toilet! Yamanouchi / Nagano – Here we walked amongst the world-famous snow monkeys. We were there in the summer (May) so no snow, but so cool to be among the monkeys in their natural habitat. They even have their own hot spring pools where they soak. With spring comes the babies and they were in abundance. Shibu Onsen – I loved this country village that is over 1,300 years old. Stayed in a charming traditional Japanese Inn with its own hot springs, rooms with tatami mat floor, futon bed, picturesque views and meals of incredible variety and presentation. Saku – Kitaaiki Village – We made history here at this wonderful small (population 750) country village. This was the most Americans to ever visit this village at one time. Previously, 15 total visitors at once was the record, but there was 17 of us! We were welcomed by mesmerizing Taiko drum performance followed by an opening ceremony with several speakers including the mayor of the village. Tokyo – Via a bus through the country side (view of Mt. Fuji) and train rides (working our JR Pass) we made it to the outskirts of town where we joined the Hachioji Pickleball Club and players from the Taiwan Pickleball Association. Osaka – Explored the famous Dotonbori shopping area. Enjoyed a lively dinner hosted by Daikichi Coverall (personal corporate friends of the Moores) where the karaoke talents of both locals and American tourist kept everyone entertained. So damn funny! We toured the Osaka Castle (where the Shogun/Samurai headquartered) and enjoyed more pickleball with the local Osaka club. Kyoto – We navigated the subway and trains to make it to the beautiful City of Kyoto. There we walked the Philosophers Path, shopped and explored temples, shires and gardens. I had so many fun adventures and met the most wonderful Japanese and Taiwan players and YES Japan and pickleball go hand in hand. Pickleball Festival in Saku – Kitaaiki Village. International event at Hachiojl, Tokyo. Last night all together – a wonderful group of new friends – so much fun! Sounds like an amazing trip! Thank you for sharing. Would have loved to be on that tour but way too expensive travelling from Ontario, Canada and in Cdn to US$. We went on the trip in September 2016 and had a fabulous time as well! Thanks for sharing your memories and excellent recap of a great trip. Oh man, I would’ve loved to have joined you and Daniel on this tour–I LOVE Japan!!! Lived there for a year back in ’85 teaching conversational English. Loved my time there–the people, the food, the culture. “Played” tennis on top of Mt. Fuji, and hope to do the same with pball someday. My brother and his family live there now, and hope to visit them as well someday. ps. You didn’t wear the slippers meant for just the bathroom all over the house, like my mom did once. LOL! Ha, I had to google that word 🙂 and NO, can’t say I tried that thanks goodness.